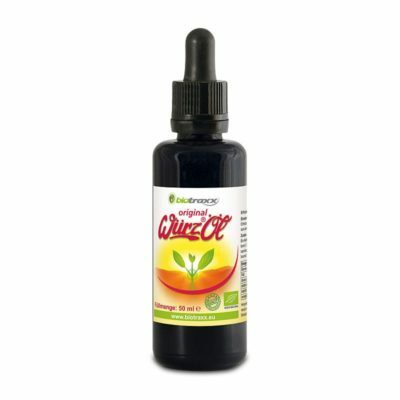 A new triple concentrated, highly effective, concentrated bitter tincture. Bottled in miron violet glass bottles for the best, light protected storage. Easy to take with our included pipette. 14 organically grown herbs (food supplement) extracted in a gentle way, have been produced into an effective tincture to discharge the kidneys. Created from an old recipe, the highly effective 14 medicinal herb concentrate of the Biotraxx Kidney Cleanse, discharges the kidneys and strengthens the bladder’s function. All herbs used are grown organically. 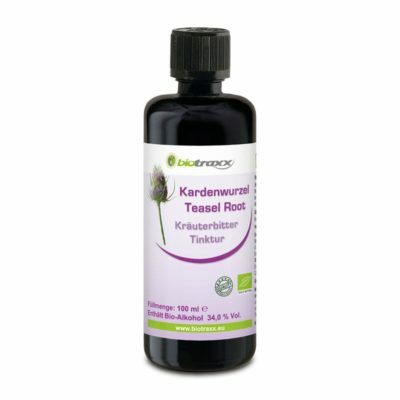 For the efficient use of our kidney cleanse, we recommend using our kidney and bladder cleanse course pack which includes 2x 50ml 14 medicinal herbs concentrate tincture and Bio-Chlorella capsules. We also recommend a Parasite cleanse beforehand. Day 1 and 2 twice daily 20 drops and 3 x 5 Bio Chlorella capsules. After that 3 x daily 20 drops kidney cleanse concentrate tincture and 3 x 10 bio Chlorella capsules to be taken for 12 days. For the next 14 days do not take the protocol, instead consume a high quality kidney tea. Then repeat the protocol again taking the tincture and Chlorella capsules for 14 days and after that consuming the kidney tea again for another 14 days. 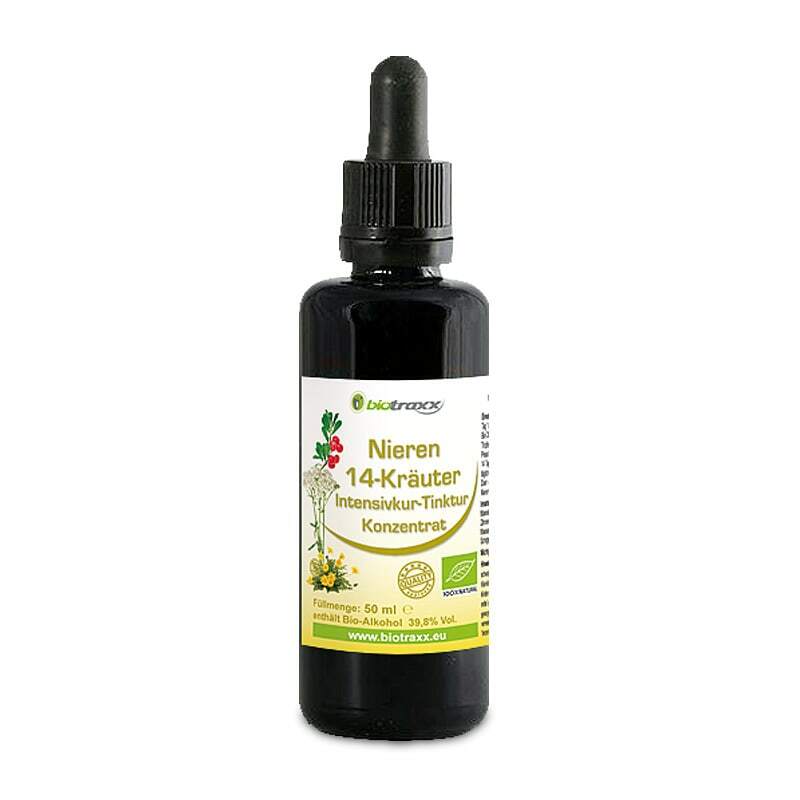 For the course protocol you will need 2 x 50ml Kidney 14 herbs tincture as well as 200 g Bio Chlorella tabs. Important: Shake bottle before each use. Note: Not to be taken by pregnant or nursing mothers, nor small children. Please keep all medication out of reach of children. Food supplements should not be substituted for a balanced and varied diet. The above dosage should not be exceeded. Würz Öl is a mighty holistic complex of certain, pure natural, very powerful essential oils in combination with fatty oils.